What do Rihanna, the sport of cricket, and calypso music have in common? They all have deep-rooted ties to the beautiful island of Barbados. As the Caribbean’s easternmost island, Barbados perfectly blends two cultures together to offer visitors a truly authentic Bajan experience. Under the rule of Great Britain until 1966, the island still holds strong to its British roots with afternoon tea and lively horse races. At the same time, this island offers honeymooners a fun Caribbean atmosphere with lively festivals and vibrant cultural traditions. Best Time to Visit – Since the weather in Barbados is mostly pleasant year-around, there is hardly a bad time to plan your trip. Though for those who want to attend the many festivals and events that take place on the island, the most popular months to visit are July through November. Peak Season – The peak season in Barbados runs from December to mid-April. Room rates may run as high as double the normal rate and some hotels will require the purchase of a meal plan. Largest City – Barbados’s largest city is Bridgetown. Located on the southwestern coast of the island, Bridgetown has a population of 110,000 residents. Tourists can explore and enjoy the city’s many examples of British colonial architecture. Best Sightseeing Spots – Barbados is an island that knows how to party. Many honeymooners find themselves lost in its calypso music and festive nightlife. Many tourists plan their visit around one of the island’s many carnival-like events. The Crop Over Festival, held in late July, is the most popular summer party featuring band competitions and a food fair. The Mount Gay Rum tour and Garrison Savannah Horse Racing venue are also perfect sightseeing spots for couples ready to explore the Bajan culture. While strolling the busy streets, stop at a local eatery for some authentic island cuisine. Best Romantic Spots – Lush landscape and beautiful views make for the best romantic spots for honeymooners visiting Barbados. The Soup Bowl, a relatively isolated breaker, is a quiet, relaxing day trip for those looking to take in the views or surf some of the best waves in the world. The Animal Flower Cave and Andromeda Botanical Gardens are two other places to make sure to put on the top of your list. Where to Stay – Couples will enjoy the many resorts doting the island along with all the amenities they offer guests. Sandy Lane is by far the most highly-praised hotel in Barbados. Visitors enjoy its luxurious accommodations and lavish recreational facilities. Although pricey, people rave about the tasty meals served at its four onsite restaurants. The House by Elegant Hotels is another popular option for visitors. This adult-only resort offers a relaxing massage upon your arrival along with afternoon tea and complimentary water sports such as waterskiing and snorkeling. Transportation – Many tourists find renting a car for their visit the most economical choice. Although taxi services are easy and accessible, their steep fares are set by the government. Driving is on the left in Barbados and those wishing to rent a car will need to acquire a $10 BBD temporary rental permit from their car rental agency. 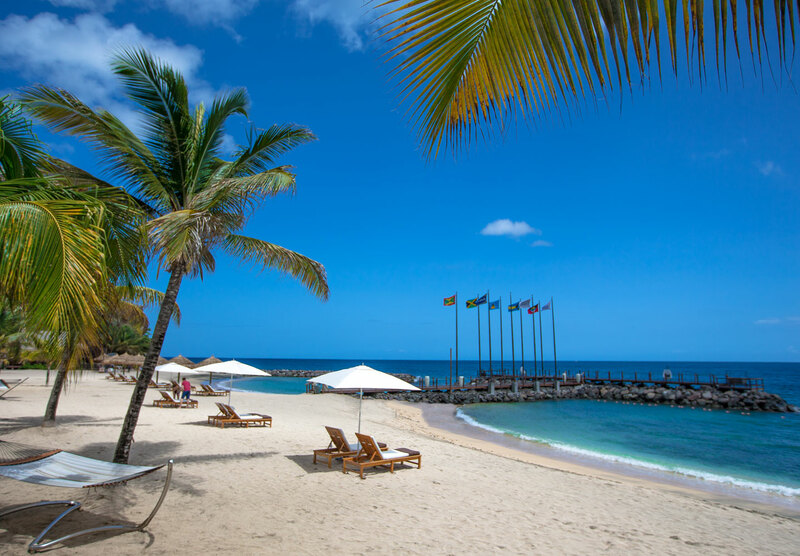 If you want to embrace the Bajan flair on your honeymoon, contact Windermere to help plan your visit. We specialize in arranging romantic Caribbean honeymoons for couples looking to enjoy a relaxing, romantic vacation.